Rent St Julien Hotel & Spa | Corporate Events | Wedding Locations, Event Spaces and Party Venues. As the ideal choice for Colorado weddings, our services include exquisite catering and customized menus with tastings, complimentary cake cutting, dance floor, stunning decor including floor-length linens and napkins, intimate votive candles, and indoor banquet chairs. We even offer custom set-up of all your tables and chairs along with full table settings. 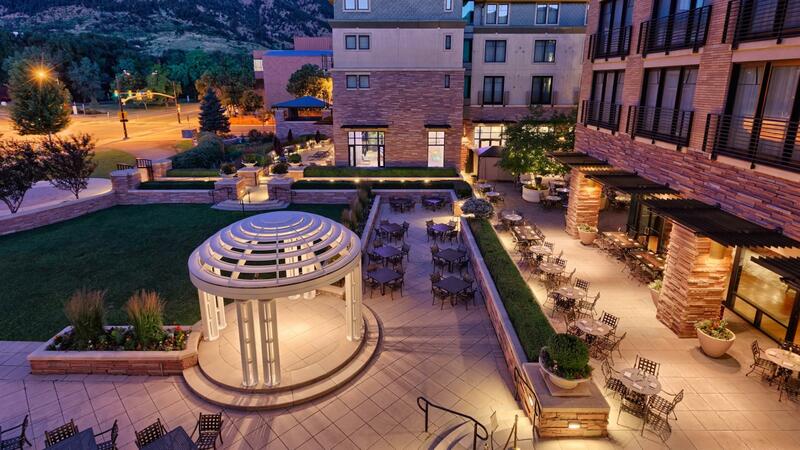 Our Colorado wedding location also invites your guests to enjoy discounted lodging rates during their stay. Our dedicated and experienced Catering Sales Manager and courteous staff will help you make all your wedding day dreams come true.